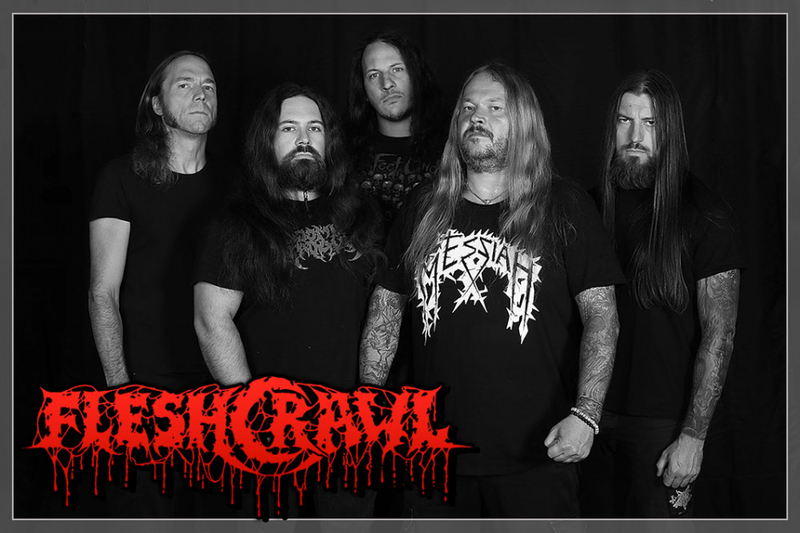 Of course, we have another lethal ace up our sleeve and that's the legendary Germany's death metal squad FLESHCRAWL !!! A very old band, founded in 1991, known even since 1987 under other names!!! No need to remind all the death metal maniacs we will have the honor to hear extra European death metal fire of Swedish style!!! No real surprise as they record their albums in Sweden under the direction of such masters as Peter Tägtgren. To date FLESHCRAWL have eight full-length albums under their belt, several EP`s or split recordings and, of course, a lot of gigs all around the globe and tours with world-class names such as Vader, Six Feet Under, Kataklysm or Hypocrisy. Actually, the devil take it as they themselves are a big name. The best will be to check this quintet out with your own eyes and ears making sausage mince out of you at OEF 2018!! !